Wedding PR: Brit + Co, Swaay Media, Special Events and more! Today, we’re bringing lots of fun new press features to the table with everything from Brit + Co to Swaay Media to Special Events and more! 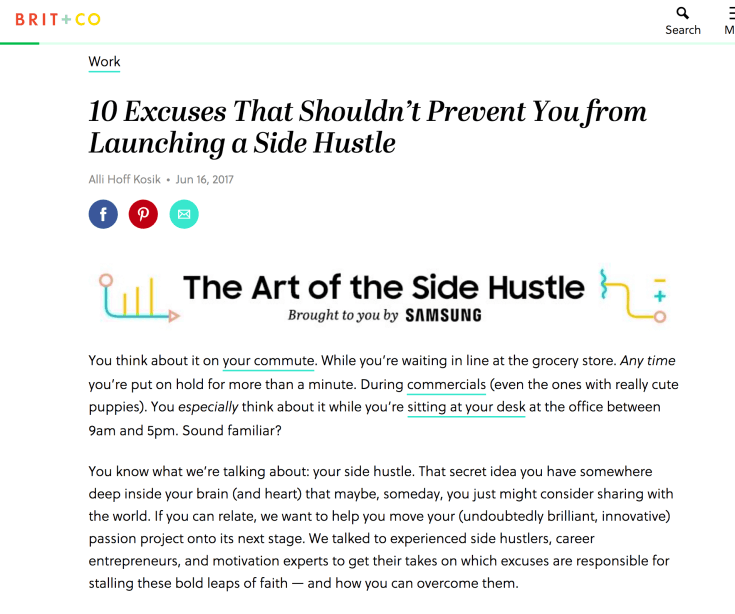 OFD Consulting was featured on Brit + Co in the article, 10 Excuses that Shouldn’t Prevent You from Launching a Side Hustle. See the full feature here. Belladeux Event Design was featured on Timeline Genius with their guest article, 5 Signs You Need to Bring In Help (and How). See the full feature here. Destination Weddings Travel Group was featured on Special Events with their guest article, Trend Alert: Top Destination Event Excursions. See the full feature here. Fantasy Sound Event Services was featured on Social Tables with their guest article, Is it Time to Diversify and Grow Your Event Planning Business? See the full feature here. Cocoon Events Management Group was featured on Timeline Genius with their guest article, Putting Together an Event Team You Can Trust to Ease Your Stress on Event Day. See the full feature here. WeddingIQ was featured on NACE with their guest article, Notable Tech Apps for Your Business. See the full feature here. 100 Candles was featured on Social Tables with their guest article, 4 Things to Consider When Shopping for Event Decor. See the full feature here. Paisley and Jade was featured on Swaay Media in the roundup, 22 Female Execs Share the Dad Advice that Changed their Lives. See the full feature here. Wente Vineyards was featured on Timeline Genius with their guest article, Tips for Staying Calm When You Have Multiple Events in One Day. See the full feature here. OFD Consulting was featured on NACE with our guest article, The Art of “Surprise and Delight” and Implementing it into your Event Career. See the full feature here.